"Hide"refreshingly fuses vintage soul and indie rock with jazz and deep funk beats. The Urban Renewal Project is a 13-piece musical collective that brilliantly explores the boundaries between rock, pop, jazz, & hip-hop. Led by songwriter and multi-instrumentalist R.W. Enoch, Jr., The Urban Renewal Project creates a signature sound using instruments of a bygone era. The URP’s most ambitious project to date is their new LP entitled 21st Century Ghost. The album features nine prolific guest artists (singers, rappers, soloists) in addition to the 13-piece collective and was produced by Neil Wogensen (Valley Queen). 21st Century Ghost was inspired by the profound isolation of this century, confides Enoch, “most of the songs discuss different side-effects of society's efforts over the last 100 years to build a technology-fueled utopia and the ways in which these efforts, which sought to bring us together, have actually further isolated us.” The LP perfectly combines catchy melodies, a vibrant brass section and upbeat drums, while still conveying subtly profound and contradictory meaning. The LP in it’s own way diffuses the loneliness and isolation we all feel by “offering a little bit of something for every music fan inside—soul, disco, hip-hop, indie rock, funk, jazz and world fusion,” states Enoch. Leading single “Don’t Ask Y” featuring famed rap duo Camp Lo, refreshingly fuses '90s sounding hip-hop with deep funk beats and powerful brass. “Don’t Ask Y” is reminiscent of early Gorillaz but with the refreshing blast of a live 10-piece horn section. In “Armor Love”, The Urban Renewal Project achieved what can be called a ‘modern disco anthem’ sung by none other than popular indie pop artist Gavin Turek. “Armor Love” deserves to be played loud on the dance floor and at everyone's next house party. 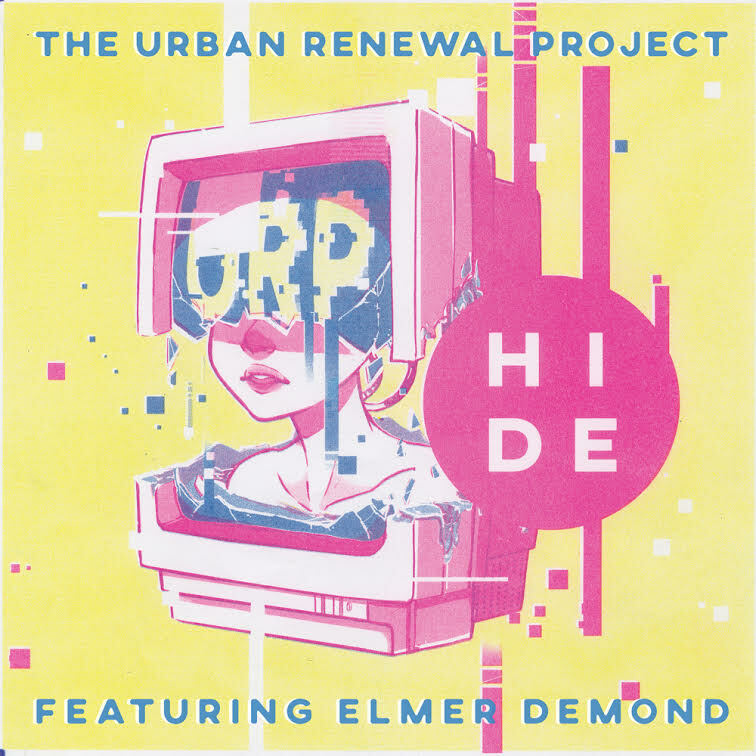 The track “Hide” successfully showcases the band’s ability to conjure up vintage soul and jazz sounds and combine them with modern indie rock. “Hide” features warm vocals from Dustin Morgan of chamber-rock ensemble Archer Black and powerful rhymes from Elmer Demond. In just a couple years, The Urban Renewal Project has become one of the most unique and sought after bands in Los Angeles, playing multiple festivals and well-known venues. The collective has further appeared on Fox NFL twice and performed alongside famed comedian Rob Riggle. With a quickly growing fan-base, The Urban Renewal Project is looking forward to the next chapter in their prolific musical journey.